Sometimes, you just need to say “NO”! Not all groups are right for you to join and give your valuable time and effort. Not all people are key to your networking success. It’s not about the numbers. It’s about knowing when to say “Yes” and more importantly, when to say “No”. There have been times when I just said no. That’s hard for those of us who use networking to do, but it’s vital. At some point your time, money, and energy run out. Before it gets to be a crisis, back off for a while. Reconsider how you are networking. Remember, you are responsible for helping your current networks as well as helping yourself. In networking, you have to be constantly on the lookout for new additions and people to add to your current networks, or even new networks to join. In addition, other people will invite you to join their network. You are going to have to say “no” or “not right now” to some of them. It’s okay. In Austin, there are between ten and twenty new networks, Meetup groups, and new formal and informal associations that are formed each month. An equal number fold or change. There may be even more opportunities where you live. You have to decide what’s right for you and what’s not. Take a minute to consider how much time, effort and money you’re willing to invest and at what rate of return. Make sure you also consider what you can invest. Say “yes” to the people, organizations, meetings, lunches, etc. with the highest value to meet your goals; say “no” to the rest. You can always change your mind if your situation or theirs changes. For ways to look at organizations before you take the plunge, read my post about what’s wrong with many networking meetings. You also might want to check out Jerry Ussem’s post that discusses various experts opinions on why it pays to be a jerk sometimes. He quotes research from the University of Amsterdam that found that semi-obnoxious behavior not only can make a person seem more powerful, but can make them more powerful. 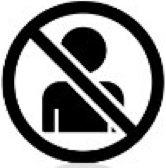 Your goal should be to be ok with being perceived as obnoxious by some if you say “no”. 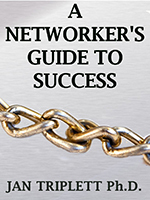 More ideas on networking success are in The Networker’s Guide to Success ebook available from the Business Success Center and online at Apple, Amazon and Nook.